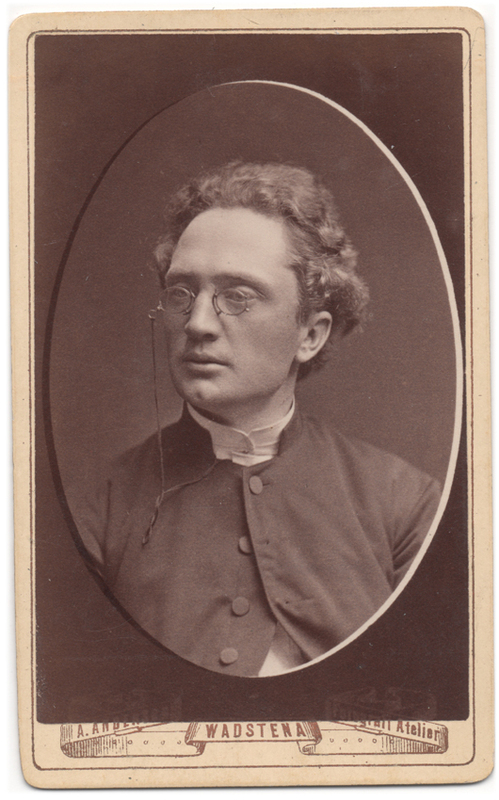 Photograph of an unidentified gentleman with rather curly hair and very light eyes. He’s wearing a pair of pince-nez glasses. This was taken in Vadstena, Sweden, by photographer Anders Andersson, probably at some point during the 1880’s.